In a shocking twist of events…it turns out summer is boating season in New England. The New Haven has run at least once a week for the last month, and northern VT went huge on Wednesday (5″ of rain in places), with another big storm coming through southern VT on Thursday. Not to mention dam releases. So — Wednesday, No. VT got anywhere from 2-5 inches of rain. Ben couldn’t leave till 4pm, so at 4, we drive up to Joe’s Brook, find a good low side of medium level. We drove up to the dam to check out the slide up there — didn’t end up hiking down to see the BF Slide, but I liked the looks of the dam-slide right below it and will be taking a look at it the next time I’m up there as well…It’s a bouncy 40 or 50′ slide that’s pretty steep. Major issue is the mandatory piton/boof onto rocks that is the dam above, and there’s no way to put in between them. We headed down and put in at the bridge about a mile above the covered bridge. 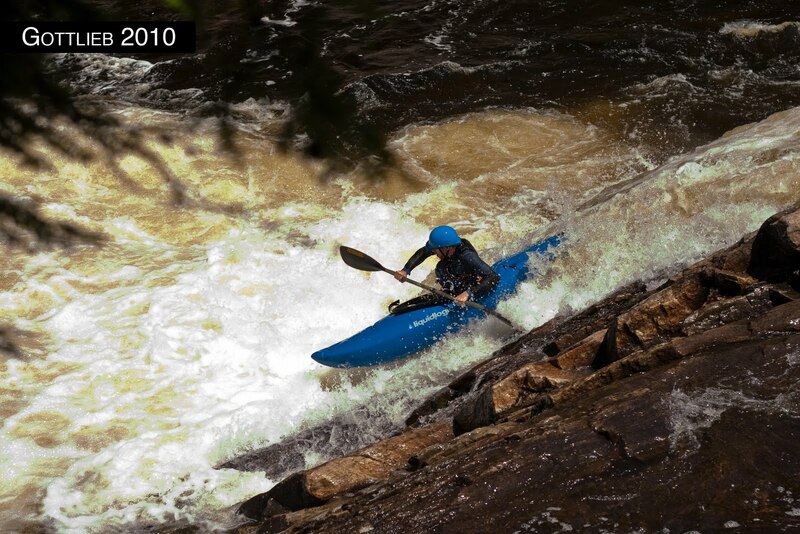 Covered bridge rapid was great. I had a massive piton on the first lap so hiked up again and eddy-hopped down the thing the second time around. We don’t have a lot of pictures since we ended up taking out early due to it being pitch black and 9:30pm. 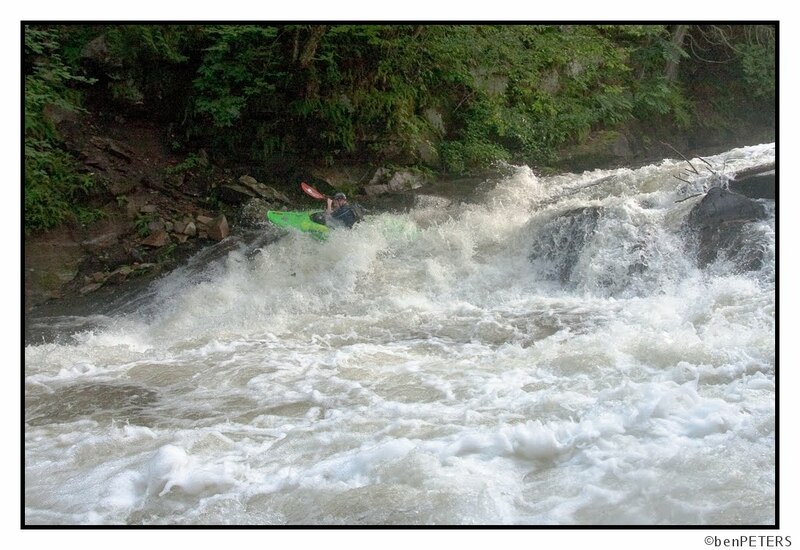 Here’s me on the last drop of the Covered Bridge Rapid. Photo Ben Peters. Thursday, So. VT looked like it got a lot of rain. Arlington claimed 2″, Big Branch rain gauge claimed .07″, but we decided to head there first anyway. Lo and behold, the Big Branch was lower than I have ever seen it. Definitely mountain biking level. So we kept driving south…and every drainage was just about dry. Eventually, we got to the Roaring Branch in Arlington and it looked barely runnable, so we drove up till it was too small and put on. There were a few fun drops and a lot of very shallow boogie. Friday night, Ben and I drove up to Colton, NY for the Raquette release on Saturday. After a late bacon filled morning, Alan, Simone, and Erik met up with us at the putin. It was Ben’s first time so we scouted Colton and watched the usual crowd of boaters mess up the line every which way and turn out just fine, so we put on and routed it. 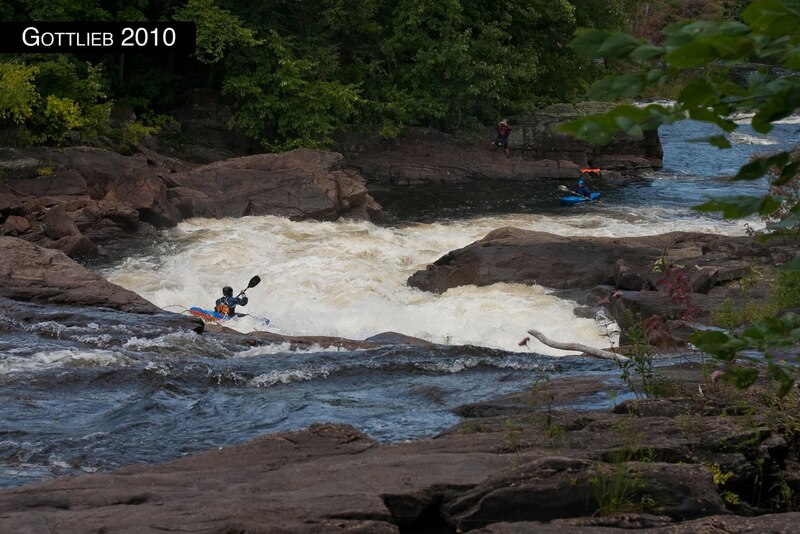 On lap one, we took out river right after Particle Accelerator and hiked back up. Lap two, paddled all the way to the conventional takeout (which apparently nobody uses anymore) and luckily managed to hitch a ride with some locals. I ran shuttle for lap three, the other guys took out river left at Particle Accelerator and hiked up the tube to the road. As always, more pictures are available on my Picasa. Me being steezy on the boof-to-slide at Colton. Check out my one elbow pad. Photo Erik Debbink. Ben Peters on the first drop of the Tubs. 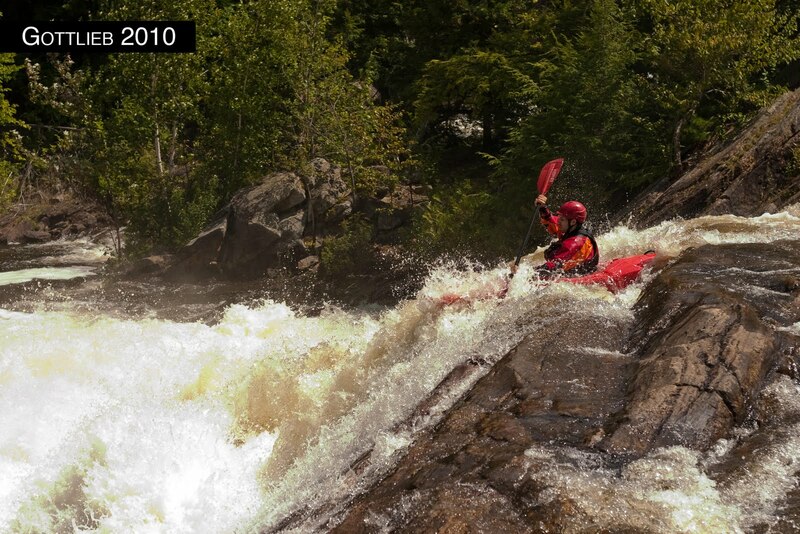 Alan Panebaker on the second drop of the Tubs. Erik Debbink cruising down the slide part of Colton Falls. Alan and Simone Orlandi in the eddy.